Very relaxing 3 days, 2 nights at 5-star Furama Resort Da Nang where is located on famous Bac My An Beach, once listed in the US Forbes Magazine as one of the 6 most beautiful beaches in the world. Lying on the white sandy beach, hearing the splashing waves, feeling the sun on your skin and your fingers going through the warm sand while smelling the salty sea. Teeing off at early in the morning at two international standard golf courses: Da Nang Golf Club and Montgomerie Links. Our Fall-Winter golf package designed by UniGolf will be a memorable experience for golfers as well as friends and family. The luxurious Furama Resort Danang is a true icon of Vietnam tourism. This 5-star haven on world-famous Da Nang beach is celebrated as Vietnam’s most prestigious resort – counting royalty, presidents, movie stars and international business leaders among its celebrity guests. A multi-award winner for its unfaltering commitment to world-class service and facilities, the Furama is not only consistently voted Vietnam’s No 1 resort, leading international polls also rank it among the very best resorts in Asia. The course is situated on the stunning coastline of Da nang Beach. Its chief feature is a 7,160-yard, 18-hole, links-style layout that was designed in the true spirit of the game — blown-out bunkers, firm and fast fairways that bleed gently into wild seaside vegetation, rugged waste areas, swales and hollows — by Australian golf legend and former world No. 1 Greg Norman. The course presents a pleasant challenge to players of all skill levels. 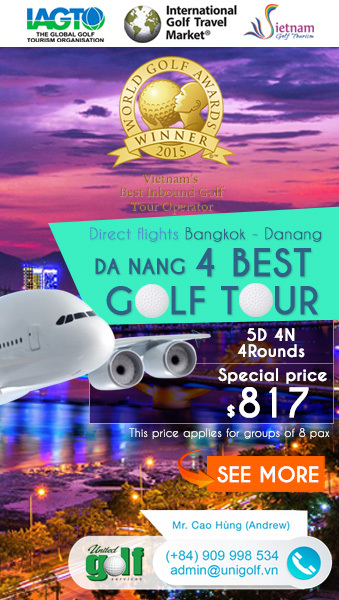 Even for those who love just to play on wonderful courses, Da Nang Golf Club will never let you down. 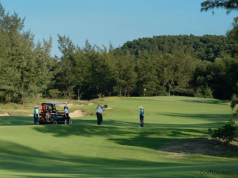 In 2014 Danang Golf Club received an inaugural Diamond Award from the International Association of Golf Tour Operators (IAGTO), Danang Golf Club has confirmed its status among Asia’s premier golf courses. Located ideally between Da Nang and Hoi An – two of the most popular destinations in the Central region, the 18-hole international standard golf course designed by European golf legend – Colin Montgomerie who was Winning Ryder Cup Captain and Eight-Time European Order Of Merit Winner. The 18-hole, par-72 course stretches 7091 yards on coastline, the inspiring layout has many features of true links golf: sandy soil, indigenous vegetation, the undulating fairways and small greens call for great skill, particularly when the sea breeze blows. 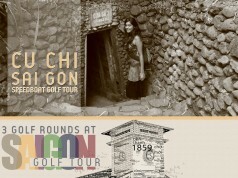 Acclaimed by local and visiting golfers alike, it is challenging enough to test the best players, while being eminently playable and enjoyable for mid and higher handicappers. Car will pick you up at the airport then transfer to hotel for check-in. Play 1 golf round at Da Nang Golf Club in the afternoon. After breakfast you can relax and enjoy resort services like gym or spa, etc. In the evening, you will visit Hoi An Ancient Town by shuttle bus of the hotel to have a glance of the mystery of this beautiful town lighten up by light of thousands red silk lanterns. Hoi An Ancient Town is an exceptionally well-preserved example of a South-East Asian trading port dating from the 15th to the 19th century. 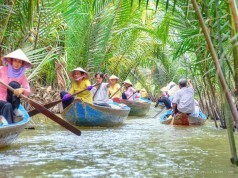 Hoi An Town is recognized as a World Heritage Site by UNESCO. After breakfast you will check-out then play the final golf round at The Montgomerie Links. After finishing the golf round, car will transfer you back to airport to fly back home. 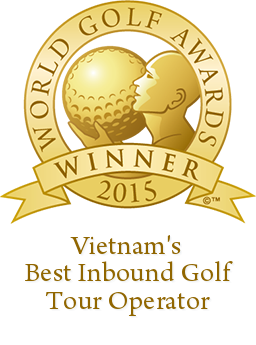 Keyword: fall winter golf, da nang golf club, montgomerie link.